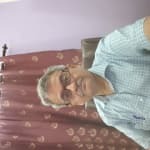 Dr. Subroto Chakrabartty is an experienced Pediatrician in Salt Lake, Kolkata. He has been a successful Pediatrician for the last 36 years. He studied and completed DCH, MD , MBBS. You can consult Dr. Subroto Chakrabartty at Children's clinic, BF-212,Sector-1,Salt Lake City, Kolkata-64 in Salt Lake, Kolkata. Don?t wait in a queue, book an instant appointment online with Dr. Subroto Chakrabartty on Lybrate.com. My daughter is 11 year old. She has always stomach pain in every one or two month. I had three usg done but all are shown normal. Drs. Given to heralbendazoleand antibiotics and dicyclomine. That time she relieved but after one or two months she has again pain in stomach. She also had constipation problem by birth. All her symptoms are related to constipation. That can be completed solved by stepwise management for three months. It needs complete stoppage of milk dry fruits vegetables and increase in rice potato diet. Along with specific therapy. My baby age is 2 months 5 days. Now weight is 4.5kgs. He doesn't sleep at day time. Very less time sleeping and remaining time playing. He is feeling when uncomfortable when he was urine.He is taking less milk also. Please suggest me how to proceed. One year old boy having vomiting and got little pimples on his cheeks and chin for last day. Give him sulohur one dose .after that sac lac 30 three times a day for 1 week .then consult online for follow up. Hello my baby is 30 month old. Near about 2 and half. His weight is 10. 800 kg. only. And height is 2.10' inch. How can I increase his weight. Please tell proper diet chart. To overcome weight in less time. Hello dear We have toddlers diet for 2 years and above which include. How to give food in right quantity and in right way ,to meet their nutrition al requirements. To cure problem such GI Problem. How detect on cure food allergies .Diet to get their ideal weight and height according to their age. .To build immunity. And many more But before prescribing any thing we need some information like. Vitals.Medical history. Family history. Daily routine And many more So, if you want to contact us, you can contact us directly thru the link below. Sneezing, slight fever redness in the eyes, every month this problem will be present for my daughter who is of 8 yrs of age. It's an allergic problem. You must avoid possible allergens like pollen, house dust etc. You can try montair 5 mg tablet daily once at bedtime for a few months. I am Dr. Subandhu. Gupta, Pediatrician. Aaj me apko newborn care ke bare me btaunga. First ques hai ki bache ko kab se bath dena hai and oil massage dena hai. At least 15 days tak bache ko bath and oil massage nhi dena chaiye. Quki bache ko infection and hypothermia ke chances rehte hain. Ab kis type ka oil use krna chaiye? Coconut oil, jaitun or olive oil safe hota hai. Bache ko massage temperature ke according dena chaiye and bathing se pehle dena chaiye halke hathon se. Bache ko red and blue spots hote hain body me jo 2-3 weeks me khtm ho jate hain. As per WHO, bache ko breast feed sabse pehle milna chaiye. Bache ka rona hmehsa hunger ka sign nhi ho skta hai. Newborn should be given mother's milk for at least 6 months. Bache ko honey, pani nhi dena chaiye. Animal milk 1 year tak avoid krna chaiye. Bachon ko animal milk digest krne me problem hoti hai. Bache ka vaccination hona jruri hai and uske lia Dr se consult krte rhen. Bache ko kayi bar cold, cough ho jata hai. Ye tabhi hota hai jab koi infected bacha uske pas aata hai. Sneezing newborn me common hai. Bacha agar milk nhi le rha hai ya or koi problem aa rhi hai to Dr se consult jrur kren. I am 28 years male. My Fibro scan results are as follows: CAP (dB/m)-median 381 E (kPa)-Median 5 IQR .5 IQR/med 10% what do these result indicate? FibroScan results range from 2.5 kPa to 75 kPa. Between 90–95% of healthy people without liver disease will have a liver scarring measurement <7.0 kPa (median is 5.3 kPa. YOur result is high and need to Assessed with general check up. My daughter is 17 months old and having a problem of defecation. Her defecation is very tight that causes irritation and leaves her cry. Me and my wife both are also suffering from bleeding piles and afraid for her. Please give remedy preferably homeopathic and ayurvedic. Thanks. Take Homeopathy medicine for best results 1) Ratanhia 200. 4 pills. 3 times a day for 15 days See the results and contact me for Follow up. Thanks. I am 19 years old. I gave a birth to a girl baby 3 months ago. I feed breast milk for sometimes. After sometime I feed powder milk. What kind of food that increase the lactation. And what are the other steps for it? No special food or medicine will increase lactation. Only your positive attitude towards breastfeeding, nutritious foods, adequate water and suckling by the baby. Hello doctor Am a mother of 3 month old baby n now have started top feed for baby. Can you please guide me on diet for me how to loose post pregnancy weight n maintain d same.